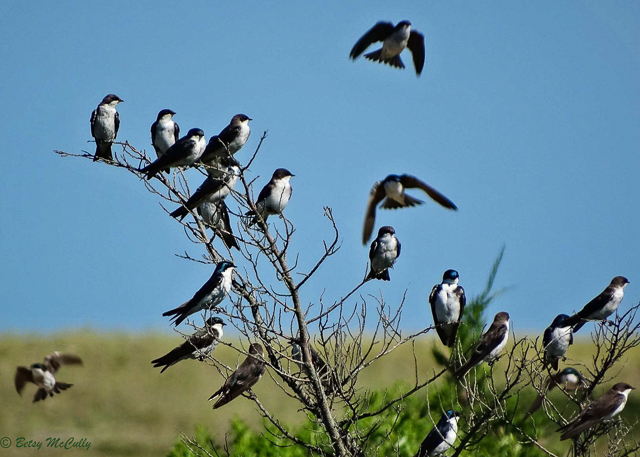 Tree Swallows (Tachycineta bicolor). Lakes, ponds, marshes, fields. These are staging in fall.